DJ/Producer, Richard Elliott has had a love of electronics and music since childhood. Combining the two, he has been building his own synthesizers and producing electronica since the 1980s. 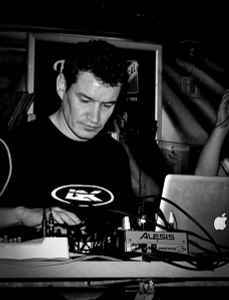 He started producing on his trusted Commodore 64 and has progressed to using a range of analogue and digital hardware over the years. Richie first got his own music played out in a club called 'Tekno Dreem' in Peterborough UK, back in 1989. Since then, Richie has teamed up with several other artists as a producer, and has had much success releasing many singles in various genres of electronic music throughout the 1990's up until the present day. He is often booked for live performances, and continues to use his home made synthesizers in his productions, and has now gone back to his roots in Electro under the moniker LektroiD.